On the track or the street, there's never been a supermoto like the awesome new HP2 Megamoto. The street version of the monster HP2 Enduro, the Megamoto is armed with tons of power in the form of a 113 hp Boxer motor that spits out 85 lb-ft of torque. Every extra detail has been stripped away to create a a supermoto machine offering thrilling, out of this world excitement in every gear. With a dry weight of just 393 lbs, low center of gravity, inverted Marzocchi forks, Öhlins rear shock, and plenty of wheel travel in both front and rear suspensions, the HP 2 Megamoto's enjoys sharp, supremely responsive handling. An Akrpovic exhaust adds efficiency, while Brembo brakes assure maximum stopping power. On a supermoto machine with this much raw performance, one thing is for sure: those corners don't stand a chance. High-performance – the HP2 Megamoto. 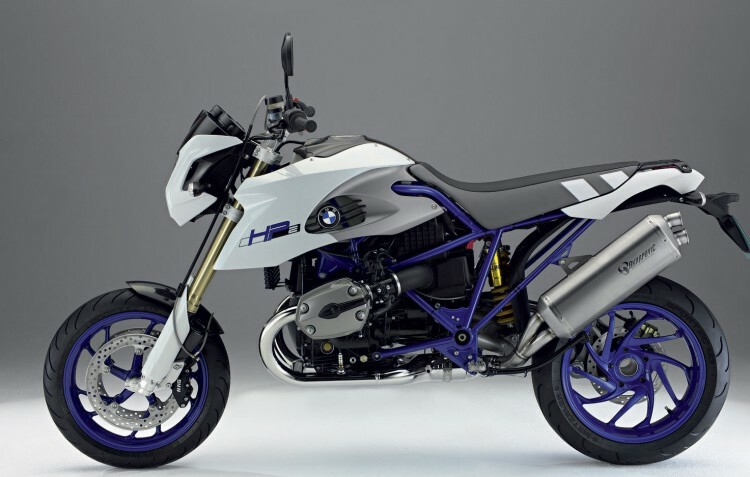 What happens when the BMW Motorrad engineers are given completely free rein and literally let loose? The result: the HP2 Megamoto - the benchmark for every other bike over the most testing of roads. Over 110 bhp of flat twin power and huge pulling power from the lowest engine speeds, high-quality, racing-style tubular space frame with extreme torsional stiffness. And not an ounce overweight at 178 kg dry weight. Uncompromising, dynamic and exclusive – even when standing still. Thanks to perfect suspension geometry combined with the very finest engine technology, this high performance sports bike never gets out of breath. Incredible stopping power and extreme cornering at lean angles otherwise only offered by superbikes! Once on board, you won’t want to get off. 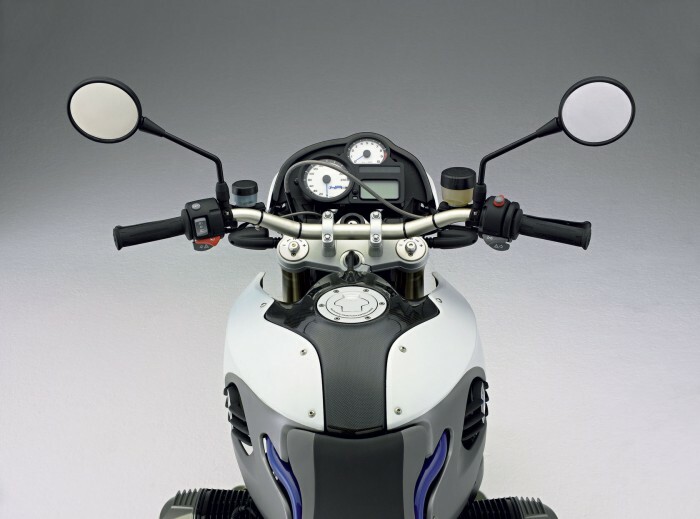 This is an exclusive, limited edition model with a wide range of perfect features specifically conceived for this motorcycle, and a design which treads the fine line between style and ultimate performance. Contact your local BMW Motorrad dealer for a test-ride – and discover for yourself what Simo Kirssi and Chris Pfeiffer have been raving about. Like its middle age riders, the GS got more and more portly as BMWs engineers added the features the customers demanded, like telelever suspension, ABS brakes, wide, comfortable passenger seats, fairings, heated grips and alternators big enough to power Wrigley Field for an evening double-header. 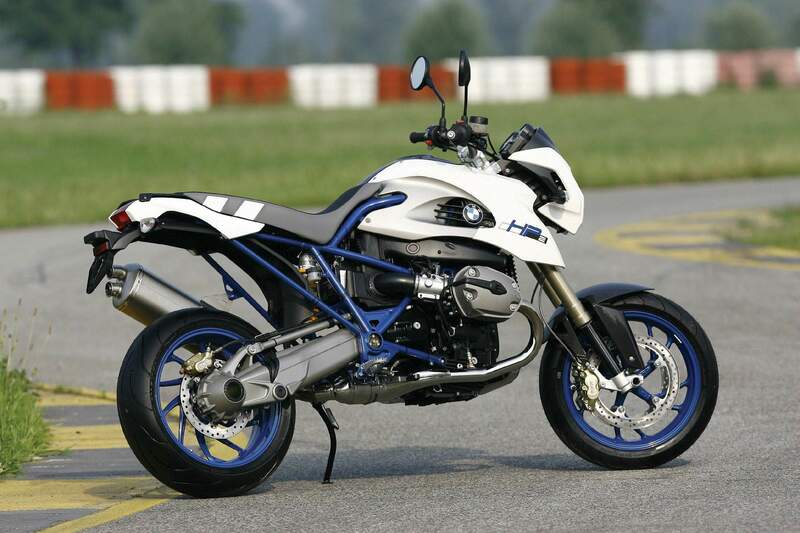 For 2005, BMW put their R1200GS on a diet, resulting in a bike that is much lighter than its forbearer at a claimed dry weight of 439 pounds, but hardly a 125 motocrosser. We motorcycle journalists use lots of words like "stable", "comfortable" and "smooth" to describe the BMW, but "flickable" and "effortless" have yet to be pulled from our big red rolling toolchest of clichés to describe a Boxer twin. The wide, opposed cylinders are way down in front of you somewhere, so they aren't much of an issue unless you're lane splitting. Then you need to give traffic a little wider berth than if you were riding a naked standard or thumper enduro, but you still feel as comfortable as you would on a large sportbike. The motor is far enough forward -- and the wheelbase long enough -- so you'll avoid getting "Beemer scars" on your shins from hitting the big Bing fuel injectors under deceleration. 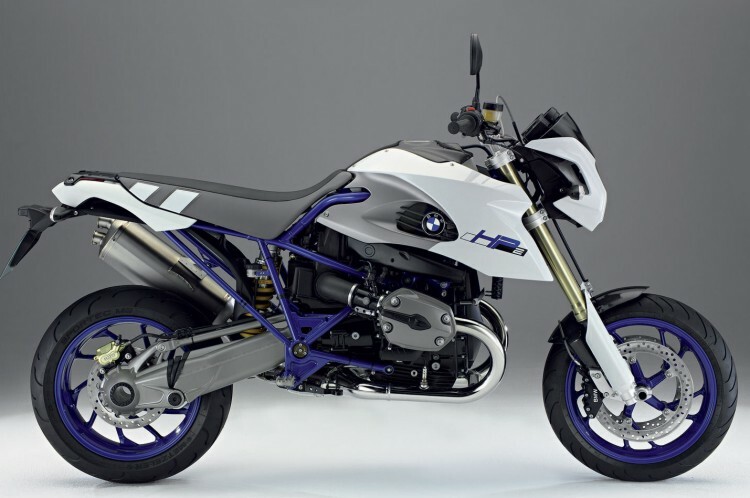 The smooth motor is surprising, given how much it's been altered from the standard R1200GS motor. The BMW engineers took great pains to lighten and modify almost every component in the engine, removing the counterbalancer and lightening the flywheel for quick-revving and higher power output. To cope with the extra verve, the Paralever driveshaft and six-speed transmission were beefed up. The result is a powerful motor that is very responsive and flexible, yet doesn't feel particularly intrusive or buzzy.